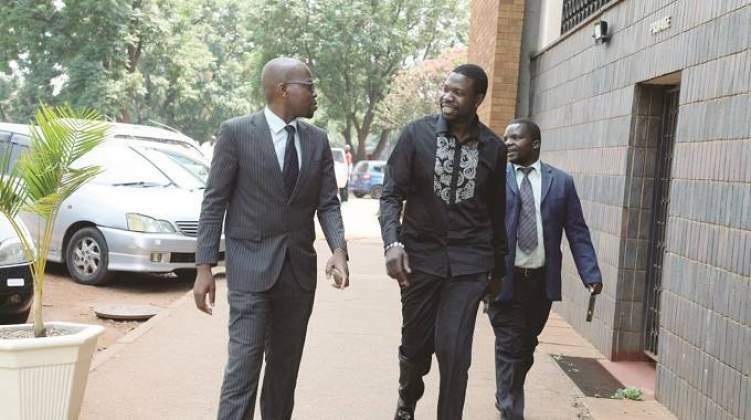 Bulawayo24 NEWS | 2 more court cases for Magaya? Bulawayo based church Divine Kingdom Ministry has released a video on its Youtube channel where the Founder Pastor Ian Ndlovu is giving a Prophetic message urging Zimbabweans to pray for a prominent church leader in Zimbabwe concerning 3 court cases. The video which was recorded on 30 September has created a speculation that Ndlovu is describing under fire Prophet Walter Magaya who was arrested recently over allegations that he claimed to possess a cure for HIV and cancer. "There is a church leader who needs our prayers. He is a very prominent church leader in Zimbabwe. He has very determined and very powerful enemies," Ndlovu says. "With the way I see things going, his ministry may be destabilised by his court cases. I see 3 court cases surface against him. To the tens of thousands of people who go to that Ministry my advice is they must institute a fast for this church leader because when the court cases start they will come like a whirlwind. "God might have delayed some of these storms, but they have not gone away. The legal system may sink him if we do not pray for him. Let us pray that whatever resolution is worked out through the legal system, let it be the resolution that will protect the work of God. In some of these court cases he will be directly called and in some he will be summoned together with others. "I urge the tens of thousands in that ministry to fast and pray that this matter is resolved this year because if it overlaps to next year it will become very complex legal issue." Pastor Ian Ndlovu rose to prominence during the 2017 November coup days when he correctly prophesied the coup plot and its results. "Verifications were made through the Medicines Control Authority of Zimbabwe and it was established that Aguma is not a registered medicine or drug in Zimbabwe. It was also established that neither Magaya nor Aretha Medical Company were authorised by the Health Professions Authority to carry out clinical tests on any human being to prove that Aguma can cure the aforementioned diseases thereby the accused committed an offence."